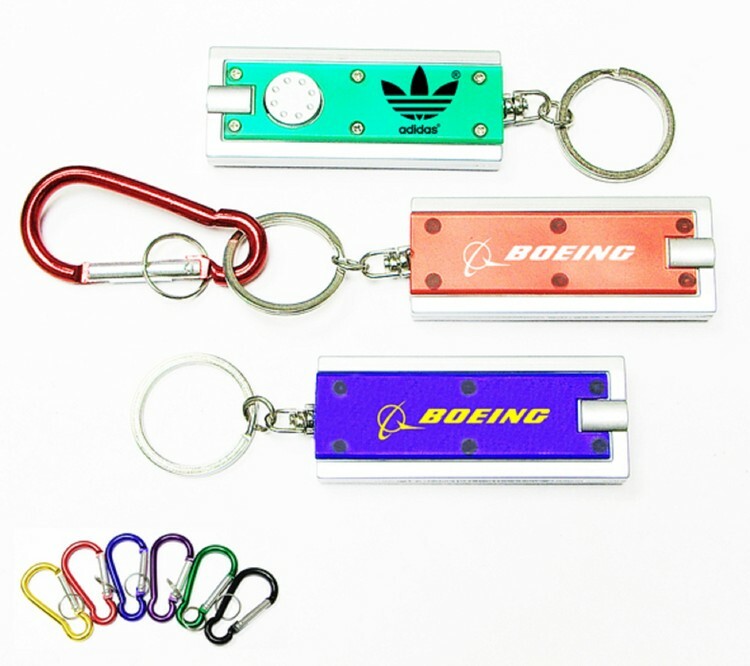 Slim rectangular flash light with colorful light and carabiner. Value combo. Lighting matches the color of the product. Long life lithium batteries installed. Up to 30 hours continuous lighting time. 100,000 hours of life time for the LED bulb. Three years on shelf time! 2" carabiner included. Great gift for flashlight key holder, key tag, keychain, key ring, safety program, emergency, travel and self promos.